Minimal cookware pursues minimalism that refers to lifestyle of achieving the greatest with the simplest factors. It has put the only necessary function and simplest design for modern people. Add cooking oil in the product before use. Do not overheat the product while empty as this will cause damage and may cause fire. Do not use the product in microwave. If the handle gets loose, please tighten the screw with screw driver before use. Please avoid using metal kitchen utensils as this may leave scratch marks. Minimal products with a great durability have hard anodizing process applied, which is used for aircraft fuselage. 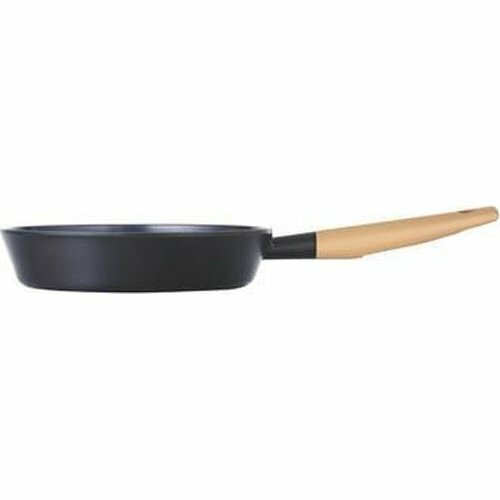 It is PFOA-free and has a non-stick coating, Which allows you to cook easier and faster. Art dios ceramic coating also makes it easy to clean and look even more stylish! There are triple steam control knob installed on the lid, Which offers various of cooking from low moisture steam cooking to soup or casseroles. Handle is also ergonomically designed, Giving a great grip to customers. Thick bottom and side of minimal cookware has an excellent heat conservation, Which gives a richer flavor and brings out natural taste and scent of ingredients. Its ceramic coating prevents food from getting scorched and sticking during cooking, Which makes it easy to clean.